TO EVERYTHING ON EARTH, an anthology co-edited by Kurt Caswell, Susan Tomlinson, and Diane Warner, was chosen as a finalist in the "nature" category in ForeWord Reviews annual Book of the Year award. Caswell, Tomlinson, and Warner will read from their work, along with Joy Kennedy O’Neil (contributor). Dr. William Tydeman will offer opening remarks. Books will be offered for sale by Texas Tech University Press. 3/08/10 Dr. Toni Jensen, a PhD graduate of Texas Tech University, will read from her new short story collection, From the Hilltop, in the SWC/SCL Formby Room. Toni Jensen is métis and is from the Midwest. Her first story collection, From the Hilltop, was published through the Native Storiers Series at the University of Nebraska Press in March 2010. Her fiction has appeared in Stories from the South, Fiction International, and Passages North, among others. Her story "At the Powwow Hotel" won the Katherine Anne Porter Prize for Fiction from Nimrod International Literary Journal. She graduated from Texas Tech University in 2006. In Fall 2010, she will begin teaching creative writing at Penn State University. Book Signing at 4:00 p.m. Artist Talk at 5:15 p.m. Please join us in the Formby Room of the Southwest Collection/Special Collections Library for the exhibition opening with photographer Ken Young. Ken will speak about his work from 5:30 PM to 6:00 PM, followed by an opening reception for the exhibition from 6:00PM to 7:00PM. The Southwest Collection/Special Collection Library will run a booth at the 31st Annual Lubbock Arts Festival at the Lubbock Memorial Civic Center, 1501 Mac Davis Lane. On April 23rd, 2009, join us at the International Cultural Center Auditorium at 7:00PM, for a reading by writer and environmentalist Rick Bass. Admission is free. Reception and book-signing to follow. The Southwest Collection/Special Collections Library invites the campus community to meet with Barry Lopez, award winning author and Visiting University Scholar. Mr. Lopez is scheduled to be on campus April 20-24, 2009. Faculty, students, and staff who are interested in having Mr. Lopez speak to a class or other campus group are encouraged to contact Kristin Bingham (Kristin.bingham@ttu.edu) or Dr. Diane Warner (diane.warner@ttu.edu) for further information and arrangements. Mr. Lopez’s books include Arctic Dreams, for which he received the National Book Award, and Of Wolves and Men, a National Book Award finalist, as well as several collections of short stories and two collections of essays. 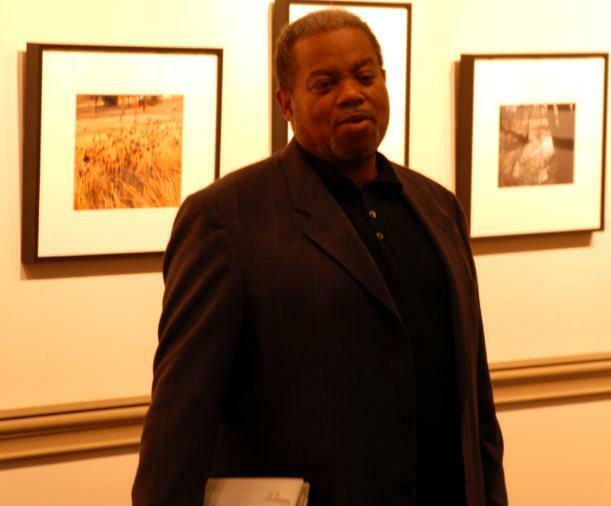 He has received fellowships from the American Academy of Arts and Letters, the John Burroughs Society, the Orion Society, and other institutions. 03/28/2009 Look for the Southwest Collection/Special Collections Library at the Closing Lubbock Centennial Celebrations which will be held at the United Spirit Arena. Texas Tech University Visitors Center located in West Hall. 03/2/2009 On March 2nd, 2009, at 6:00 p.m., Dr. Toni Jensen will read from her short story collection From the Hilltop. This collection of stories is forthcoming from the Native Storiers Series at the University of Nebraska Press in fall 2009. Her fiction has appeared in Stories from the South, the Year's Best, 2007, Fiction International, and Passages North, among others. In 2006, her story "At the Powwow Hotel" won the Katherine Anne Porter Prize for Fiction from Nimrod International Literary Journal. Dr. Jensen currently teaches creative writing at the University of Central Florida and is fiction editor for the Florida Review. The reading is free and open to the public. For more information, please call Dr. Diane Warner at 742-3749. 02/02/2009 Keeping the Music Alive: This panel discussion will take place at the Buddy Holly Center from 4:00-5:00PM, to commemorate the 50th anniversary of Buddy Holly's tragic death. A fanfare event will follow from 5:00-6:00PM. Throughout the anniversary week, the Southwest Collection/Special Collections Library will exhibit several panels showcasing its music collections at the Buddy Holly Center. The Reference Room will close at 12PM on January 2nd, 2009. Regular hours will resume on the following Monday. The Southwest Collection Medieval Christmas celebration proved well-attended by members of both the TTU and Lubbock communities. We would like to thank all participants to this event. We regret to inform you that Barry Lopez must reschedule his visit to TTU campus. We will notify you when Mr. Lopez's schedule is confirmed. Mr. Lopez's books include Arctic Dreams, for which he received the National Book Award, and Of Wolves and Men, a National Book Award finalist, as well as several collections of short stories and two collections of essays. He has received fellowships from the American Academy of Arts and Letters, the John Burroughs Society, the Orion Society, and other institutions. Texas Medieval Association Conference will be hosted at Texas Tech University this year, where the Southwest Collection will spotlight the Medieval Southwest Exhibit. Reading Room hours will be held from 10:00AM-2:00PM this weekend. Baseball Hall of Fame National Symposium at the Merket Alumni Center, Texas Tech University. July 1st - 2nd. Contrasting campus scenes of the last eighty five years are shown in 68 photographs in the Formby Room of the Southwest Collection/Special Collections Library. Edward Curtis devoted 30 years of his life to photograph the North American Indian and this exhibit focuses on his images of Native American women. Roland Wauer is an internationally renowned expert on birds and butterflies, and author of 21 books and 170 articles on natural history and the life of a naturalist. He worked for the National Park Service for 32 years as a park ranger, interpreter, director of special reports and programs, and as assistant superintendent at numerous national parks from Crater Lake to the Virgin Islands, and from Alaska to the Big Bend of Texas. He also served the NPS as Southwest Region Chief Scientist and Chief of Natural Resource Management in Washington, D.C. 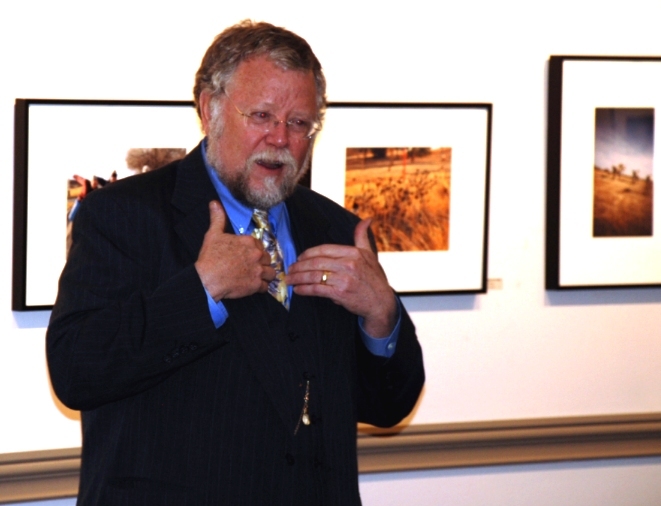 In retirement he continues to offer public presentations of his extensive photographic collection, and leads group field studies of birds and butterflies. The History of the Hispanic Student Society at Texas Tech. In 1964 a core group of the first Mexican-American students at Texas Tech University formed Los Tertulianos. Dedicated to promoting the Mexican-American students' cultural identity, the organization allowed its members to carve their niche as Texas Tech’s first minority student organization. Over the years Los Tertulianos has transformed to become the Hispanic Student Society. This exhibit recognizes and honors the contributions of those early students who congregated in the Student Union and created solid friendships that, like their organization, have withstood the test of time. This exhibit portrays the material culture of one of the most remote and traditional indigenous groups in North America. With an economy based upon ancient maize cultivation and nomadic herding practices, the Tarahumara struggle for daily survival. But they also struggle for cultural survival in a world that is changing all around them. The displayed artifacts complement the Southwest Collection’s expanding holdings of photographs and audio/video recordings. Collegiate Baseball Hall of Fame – On display in the East Rotunda through July of 2009, is an exhibit of artifacts, donations and memorabilia from the Archive of the Collegiate Baseball Hall of Fame at the Southwest Collection/Special Collections Library. The Medieval Southwest: Manifestations of the Old World in the New - To view the impact of medieval Europe on the Lubbock region, please come peruse the exhibit at the SWC/SCL Building on the Texas Tech University campus. Tarahumara Indians – These indigenous people of the Sierra Madre in southwest Chihuahua, Mexico, have refused to assimilate and kept their culture largely intact across the centuries. Since 1952 the Jesuit priest Luis Verplancken, while administering to their health needs, has made over 25,000 photographs there, now being scanned by SWC/SC Library staff. The exhibit includes photographs along with baskets, weaving, pottery and carvings collected by oral historian David Marshall. Development of the West Texas Historical Association – From its humble beginnings with 25 members in 1924, the Association has grown in stature and respect. Papers presented at annual meetings have become the first stepping stones for many careers as professional historians. Today, with over 400 members, the WTHA’s headquarters and Yearbook editorial offices are housed under the turrets of the SWC/SC Library. The "Hub of the Plains" exhibit is an official project of the Lubbock Centennial Committee. It was generously funded by the UMC Health System. Arranged by design staff and historians of the Southwest Collection/Special Collections Library, the display features materials from private collections and from archival holdings of the Southwest Collection. The one hundred plus year history of the City is showcased in photographs and chronology for the benefit of the Citizens of Lubbock. The display captures the rise of the town on the South Plains before 1909. It proceeds to highlight the economic, political, and social growth of a vibrant community through 2009. The inventive drive, ability to recover in the aftermath of the 1970 tornado, and cultural diversity of the people of Lubbock characterize the rich legacy of one of the most prosperous cities in West Texas. 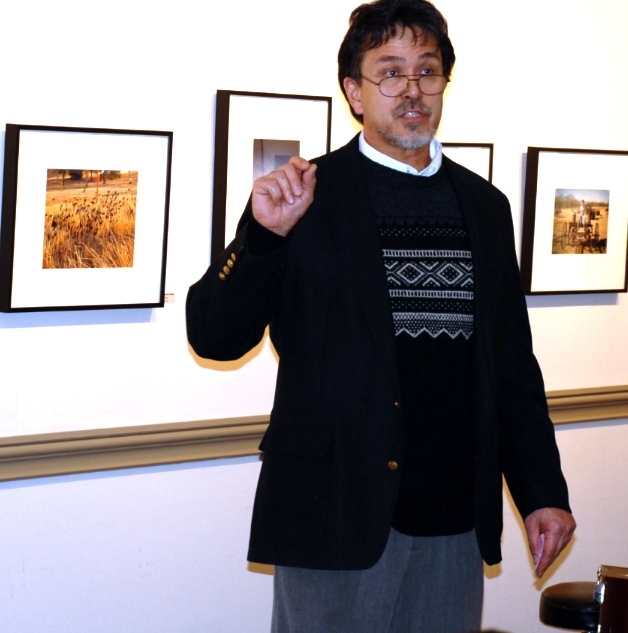 December 3, 2007, 10:00 a.m.-5:00 p.m. - An end-of-semester reception honoring the Millennial Collection, a thoughtful and thought provoking assembly of photographs and prose was held in the Formby Room of the Southwest Collection. At 1:00 p.m., Rick Dingus of TTU's School of Art gave a talk on the impetus behind the project and the importance of documenting our "here and now," as it changes more quickly than we realize. Historic and documentary photographs from other collections, as well as student poetry based on Millennial Collection photographs were on display. For further information, contact Diane Warner, 742-3749, or diane.warner@ttu.edu. 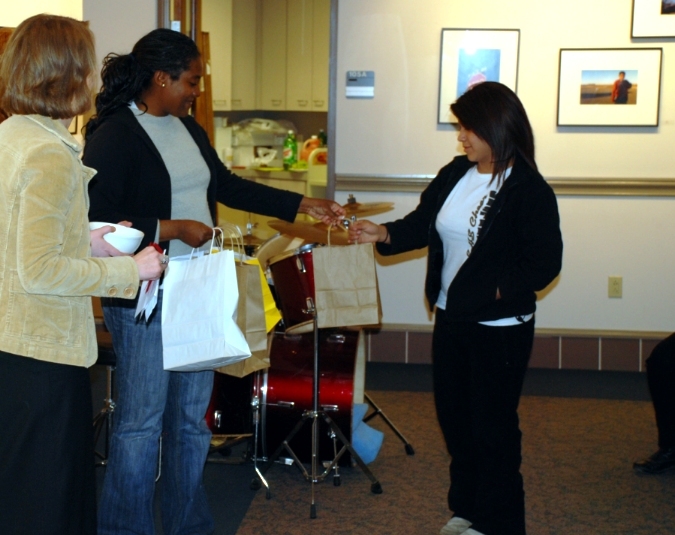 November 12-15, 2007 - the Southwest Collection hosted several events to celebrate the 3rd Annual American Indian Event Week. 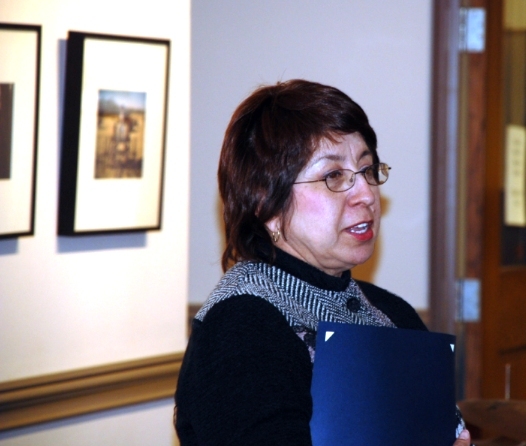 These included presentations by Dr. Kim Winkelman, President of Comanche Nation College, Dr. Ethan Schmidt, Dr. Edward Anderson, Dr. James Goss, Dr. Juanita Pahdopony, Harry Mithlo, Andy Wilkinson, and Dr. Kurt Caswell, as well as a cultural arts exhibition by Dr. Bill Skillman and a Comanche Nation College Student Meet â€˜n Greet. 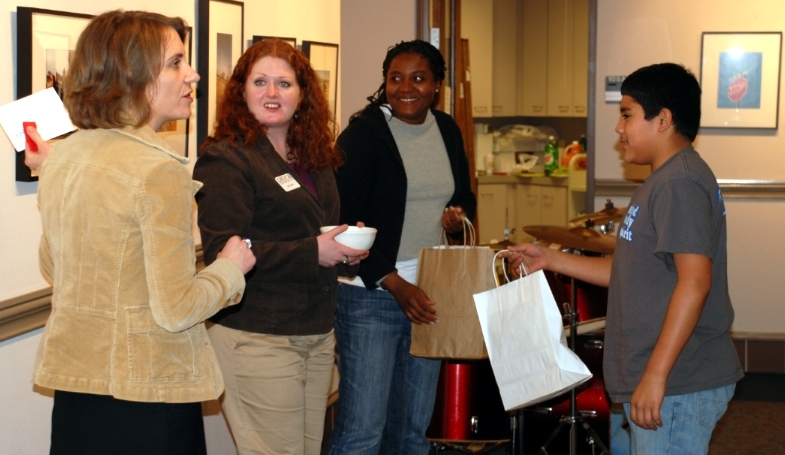 The events were done in partnership with various other Texas Tech entities such as the Cross-Cultural Academic Advancement Center, the Department of Sociology, Anthropology and Social Work, the Office of Institutional Diversity, the Office of Student Diversity Relations, the Office of the Provost, the Pathway Partnership Office, the TTU Howard Hughes Medical Institute Program, and the TTUHSC Office of Diversity and Multicultural Affairs. October 31, 2007 - Guest speaker Susan Wittig Albert presented a talk entitled, "Prime Thyme Crime: A Texas Author Talks About Herbs and Mysteries." Albert, a Texas mystery writer and herbal expert, is author of the China Bayles and the Cottage Tales of Beatrix Potter mystery series. With her husband Bill Albert as "Robin Paige," she also writes the Sir Charles Sheridan mysteries. A book signing and reception was held following her talk. The Southwest Collection/Special Collections Library was pleased to announce two writers in the Sowell Collection whose papers have been processed and are now available for research. The Max Crawford Collection contains a wide range of materials documenting Crawfordâ€™s life, from his early days in Crosbyton to years in France. Literary records include correspondence from writers Wallace Stegner, Larry McMurtry, David Quammen, and many others. Several boxes include complete early manuscripts of both published and unpublished poems, short stories, and novels. The collection gives students an insight both into Crawfordâ€™s personal life, through pictures and correspondence to and from family and friends, as well as the writing life, through Crawfordâ€™s expansive notes and records. The Edward Hoagland Collection contains correspondence and materials from or relating to many prominent writers. Just a few of the correspondents include Gretel Ehrlich, Annie Dillard, Barry Lopez, Archibald MacLeish, Anne Lamott, and John McPhee. The correspondence in the collection is expansive, including many personal letters, postcards, and notes from at least ninety well known writers and poets. For further information, contact Diane Warner, 2-3749, or diane.warner@ttu.edu. November 15, 2006 - A reception for Cherokee film star Wes Studi was held at the Southwest Collection following his speaking engagement at the Student Union Building. 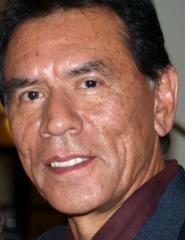 Studi is best known for his roles in movies such as The Last of the Mohicans and Geronimo: An American Legend, as well as the PBS Joe Leaphorn series based on the books by Tony Hillerman. His visit was part of Texas Tech's celebration of National Native American Heritage Month. [Tech Announce press release and images from the celebration. February 15, 2007 - Reception for the Take Pride in the East Side Student Photography competition and exhibition. Sponsored by the Southwest Collection/Special Collections Library and The Louise Hopkins Underwood Center for the Arts, the reception took place from 4:00 â€“ 6:30 p.m. in the Formby Room. 40 photographs chosen from over 150 submissions were displayed. The Progressive Baptist Church Youth Choir performed two amazing songs that were enjoyed by all that attended. Thanks to Dr. Marcy for playing photographer and taking the images below. Click on the images to see a larger version. Executive Director of the Southwest Collection, Dr. James Brink welcomes everyone to the Special Collections. Co-Director of the Southwest Collection, Dr. Tai Kreidler explains the importance of preserving local history for future generations. The driving force behind the project, Eric Strong talks about the importance of such community projects. Dawn Wolf-Taylor and Katy Ballard draw names for door prizes. 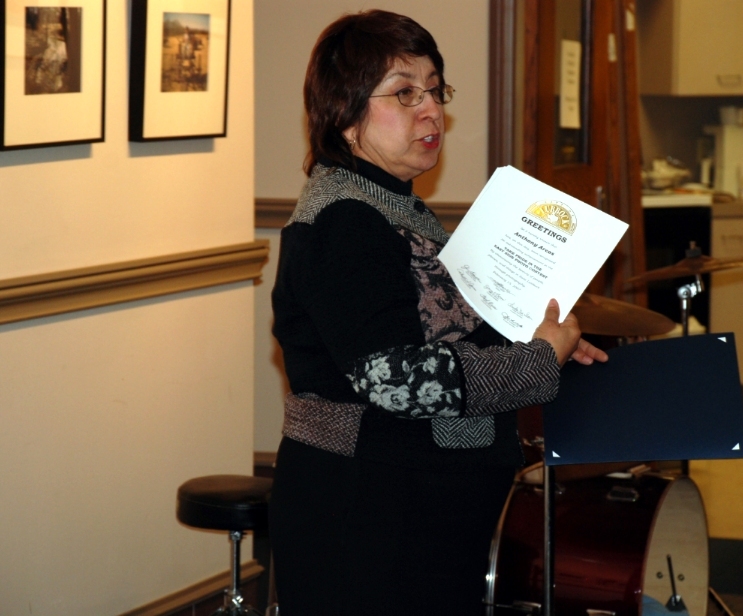 Council woman Linda De Leon presents a city proclamation for the Take Pride in the East Side project, including individual recognition for each of the student participants. She also encouraged people who lived on the East Side to take pride in their community and work to improve it. 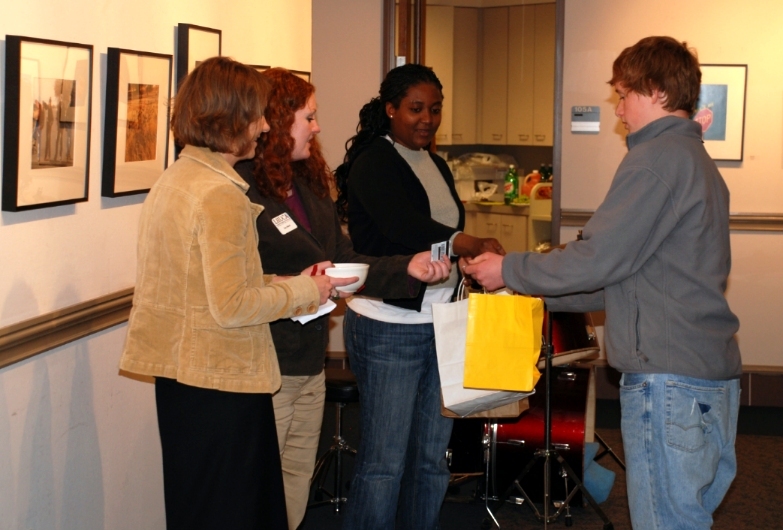 Representatives of the Underwood Center distribute door prizes to students who participated in the photo competition. 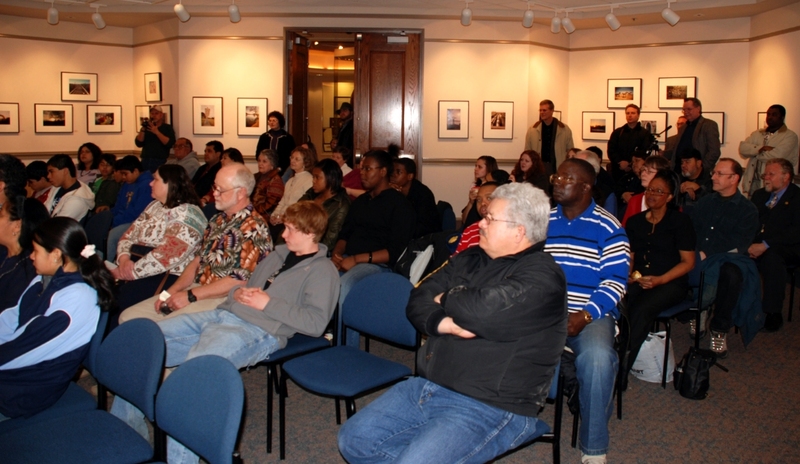 April 12, 2007 - A poetry reading by Lance Henson was held from 7-9 p.m. in the Formby Room. Although Mr. Henson is of Cheyenne, Oglala and French descent, his poetry reflects his Southern Cheyenne heritage. He is a Vietnam Vet (Marine Corps) and a member of the Cheyenne Dog Soldier Warrior Society, the Black Belt Karate Association, the Native American Church, and the American Indian Movement (AIM).